Concrete countertops have evolved over the last decade into sophisticated surfaces. 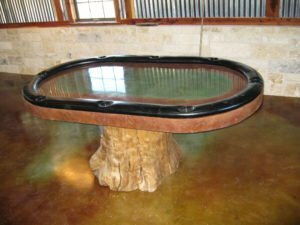 We use unique fabrication methods to create personalized indoor and outdoor countertops as well as concrete furniture. Concrete countertops are a warm and natural looking material that corresponds well with the popularity of more natural materials like wood, stone and brick. Customers literally have an unlimited number of color choices to choose from, allowing them to coordinate a surface with other materials in the room. In general performs and cost, concrete competes with both solid-surface synthetics and stone, but is not limited in color, thickness or natural patterning. Synthetic surfaces and stone are sold in slabs and tiles, and both are limited to standard thicknesses. Since our concrete countertops are cast in molds, it can include subtle decorative objects (such as metal shavings, decorative stone, glass aggregates, etc. ), changes of contour, and greater thickness. Concrete countertops have become a favorite of designers and architects because concrete can give warmth and color depth not available in other countertop options. Our skilled artisans give our counters a finish as smooth as glass with a patina that improves over the years. 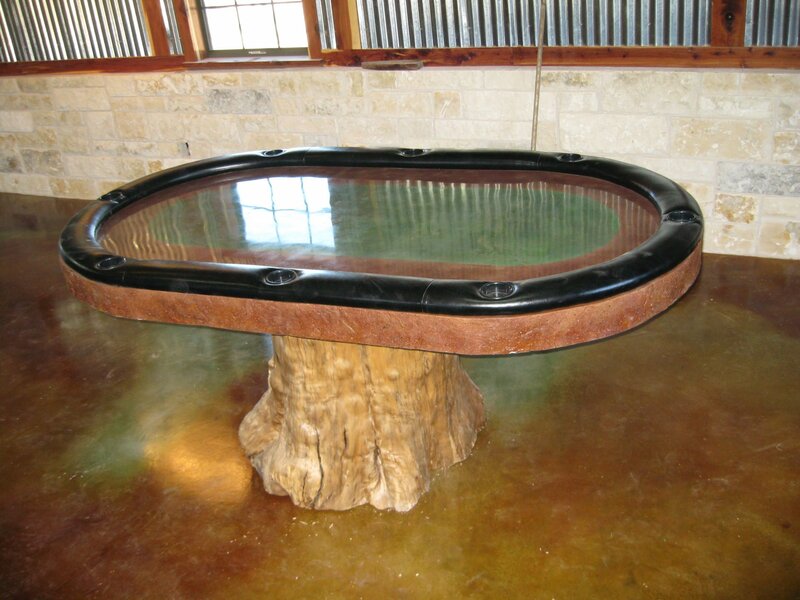 Clients are encouraged to use their imagination as we will do the same to create a custom countertop just for them. Design is limited only to your imagination. Click here to see our Concrete Countertops gallery!